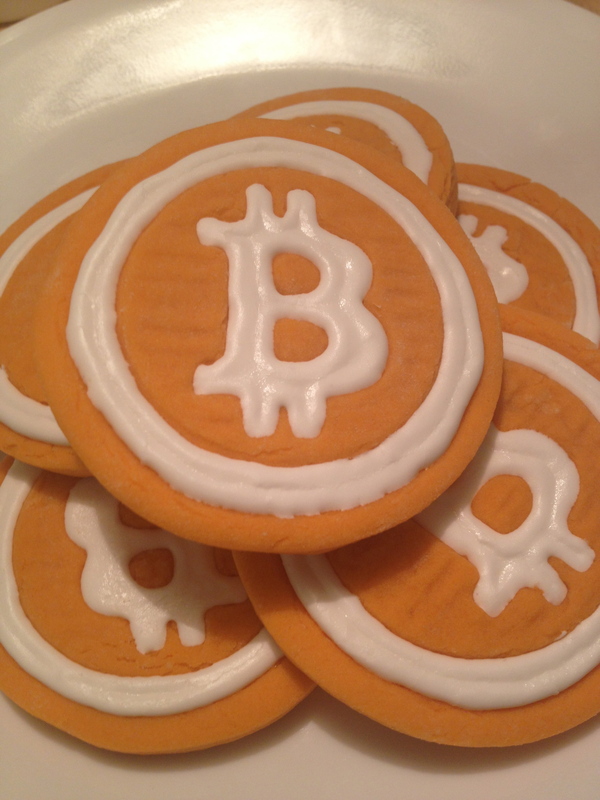 Bitcoin is one tough cookie, but a delicious one at that! Amid the recent regulation turmoil and uncertainty, the hope and the optimism in the Bitcoin community remains steadfast. 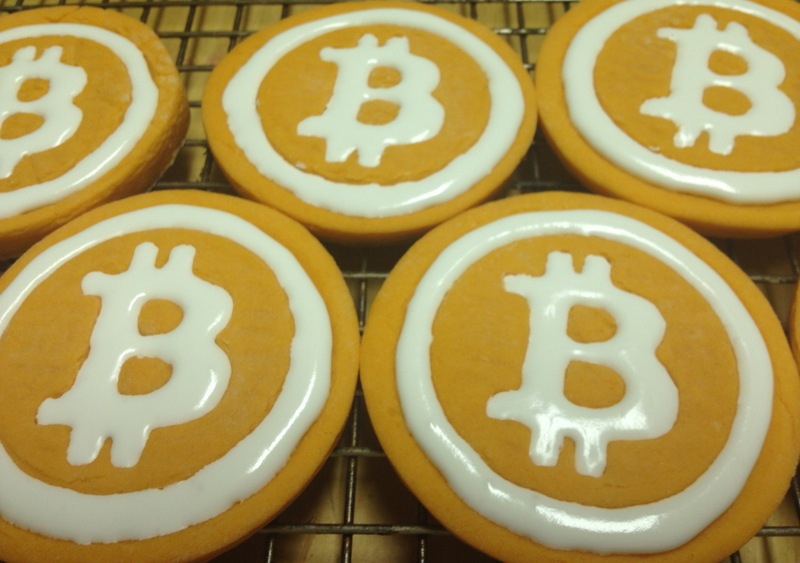 I’ve been eagerly following all the buzz coming out of BTCLondon, and Bitcoin’s future looks bright. 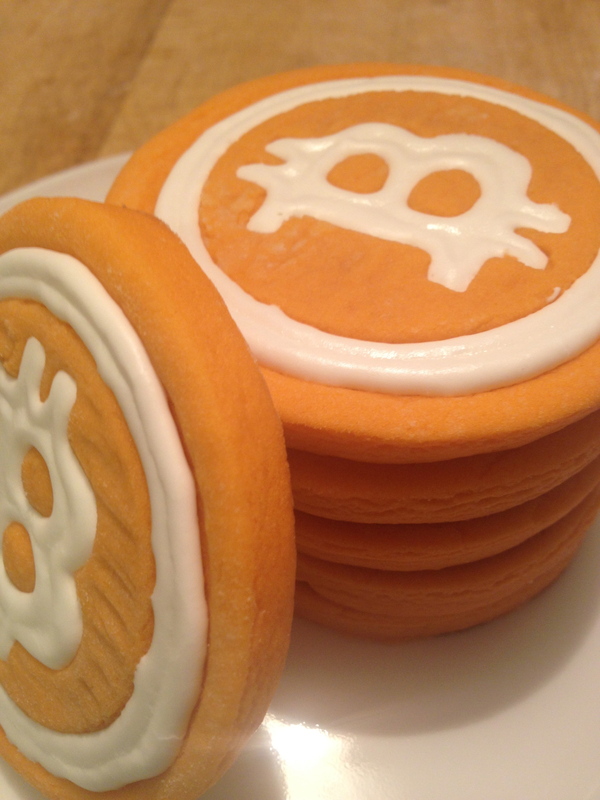 I may be a cockeyed optimist, but Bitcoin could prove to be the best thing since sliced bread, or perhaps it already is! Mister P and I have been twiddling our thumbs this past week, awaiting our BFL SC Singles to arrive [update: we are finally hashing away! 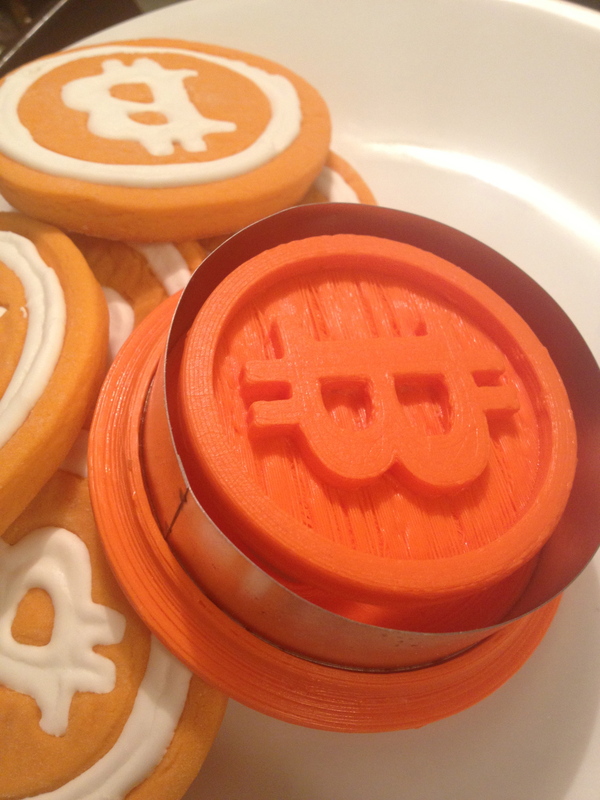 ], so to pass the time, we whipped up super cute “Push n’ Print” style Bitcoin Cookie Cutters on our trusty little PrintBot Jr. The cookies are soft like the Lofthouse variety of rolled cut-outs and I used royal icing to fill the crevices. Fiat could never taste this good! 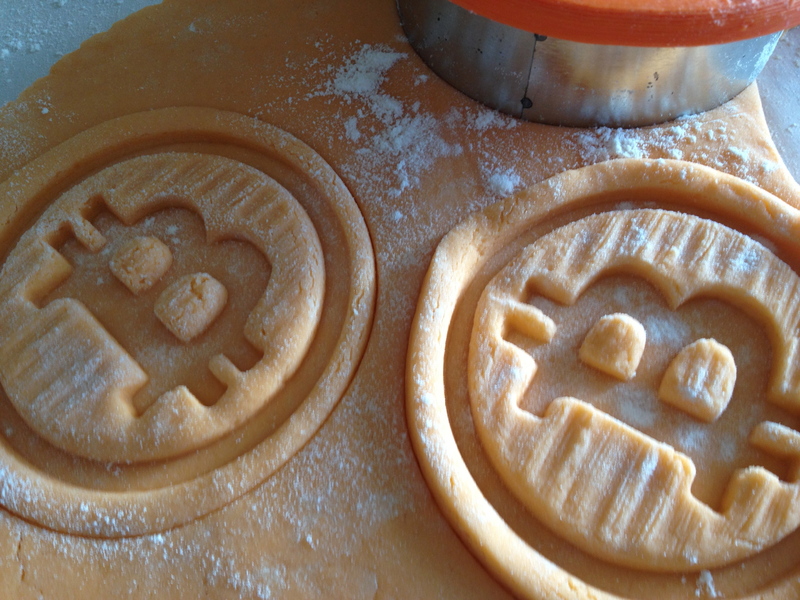 Here is the recipe I used for the cookies, and if you are interested in purchasing your own “Push n’ Print” style Bitcoin cookie cutter, I will gladly make them to order and ship to you for 0.05 BTC. Hit me up on my contact page. Preheat oven to 400 degrees. Cream butter and sugar thoroughly. Add egg, extracts, zest, coloring, and salt until mixed well. Add flour 1 cup at a time until fully incorporated. Let the dough rest for 5-10 minutes. Roll dough to desired thickness on floured surface and cut shapes with cookie cutter. Bake for 8-9 minutes, cookies should be done but not browned. Let cool for several hours before frosting. Those look absolutely delicious. Thanks for posting. Cool that is very interesting I will be sure to take that into contemplation next time. Where can I locate more about this?